Original Runbo A380 4200mah replacement battery for all Runbo Phones. .. 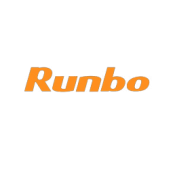 Original Runbo screen protector for Runbo Phone model F1. Does not fit other phone models! .. Original Runbo 4.5" screen protector for Runbo Phone models X5, Q5 and Q5S. Does not fit the X6.. Mounting Strap for all Runbo Phones. ..